An R-value of 6.5 per inch of thickness provides tremendous insulation to your entire building. During the winter, hot air stays in and cold air stays out. The reverse is also true in the summer months. Prevents water damage from traveling laterally, thereby minimizing damage. Extremely lightweight, adding little to no deadweight on your roof. Can be up to 30% less expensive than other roof types after installation and maintenance. Installed during business hours, with no disruptions to you or your clients. Applies easily to almost any existing substrate (wood, metal, rubber, etc). Triangle Roofing has roots going back to 1993. 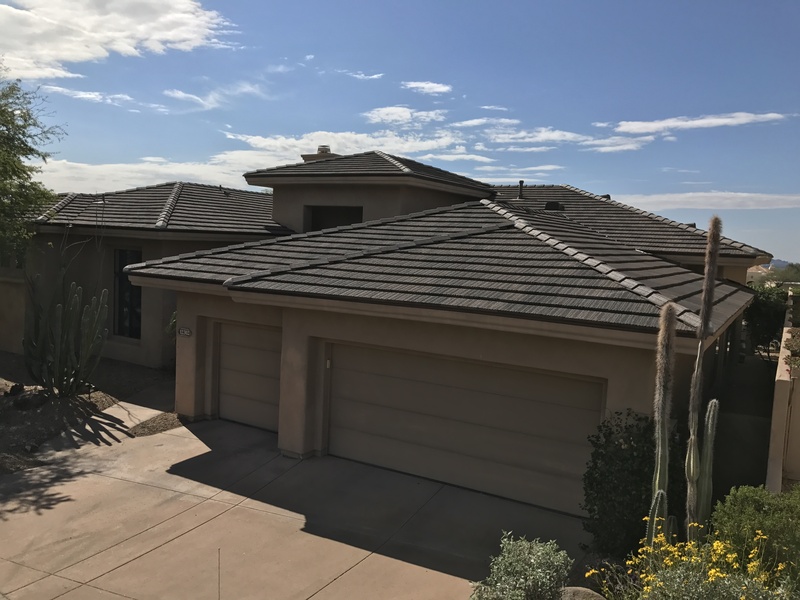 We are a full-service, professional roofing company serving Arizona. Options for Flat Roof Replacements, there are many ways you can replace your flat roof, and we won’t go into detail of all of them here. We will do a quick overview and if you’d like to learn more, check out our pages detailing each roof type. You can also read more about what factors you should consider before making a flat roof replacement decision. Built-up Roofs, also known as BUR, are a hot tar and gravel roof system that has been around for ages. This roofing material is less expensive than the other materials already covered and is a great fire retardant. However, it also has some drawback. BUR are extremely heavy, and often requires reinforcing the roof structure prior to installation, which is an extra expense and delay that adds very little value. Modified Bitumen roofs are very similar to asphalt roofs, but they have polymers added into the system that provide added protection and an extended lifespan. Rolled on to the roof surface and then heated with a blowtorch. While this creates a good seal, it is dangerous and has led to the burning of more than a few buildings during installation. Modified bitumen is environmentally friendly thanks to its reflective nature. Roof Replacement Coatings designed for any application you can think of. Coatings are great flat roof replacement options because they can be directly applied to the roofing surface. Flat roofs have three main options for their coatings: silicone, acrylic and aluminum coatings. Coatings are liquid applied directly onto the roof surface and then cure once in place. This allows for seamless installation that helps to fight leaks. Each of the three coatings has different strengths and weaknesses associated with it, so you’ll need to look at your current roof substrate and determine what aspects are most important to you prior to making a purchase decision. Many people expect a tile roof replacement to last a lifetime and are surprised when they find they have a roof leak. The tile, itself, is either concrete or clay and should last a lifetime. However, keeping up on tile roof replacement. New felt under the old tile is the barrier to stop water from entering the home. Felt is traditionally an asphalt-based product. Felt becomes brittle with age. When the brittle felt expands and contracts with the heat and cold, it will eventually crack. The tile will shed most of the water, but some water does trickle down to the felt and this can cause a roof leak. In other cases, you can locate the leak at a pipe penetration, termination (chimney, skylight, roof to wall intersection) or from slipped or broken tiles. Although tile roof underlayment replacement systems are among the most expensive residential roofing options, the lifespan of more than 50 years virtually guarantees you will never have to reinstall another roof. Malarkey Underlayment’s the main component on the roofing system. May need replacing every 20 years. This will require a professional to remove the tiles and reinstall them once the new underlay is in place. Pillar Roofing and Construction, a leader in concrete and clay roofing in Dallas, TX, can repair your damaged tiles without damaging more. 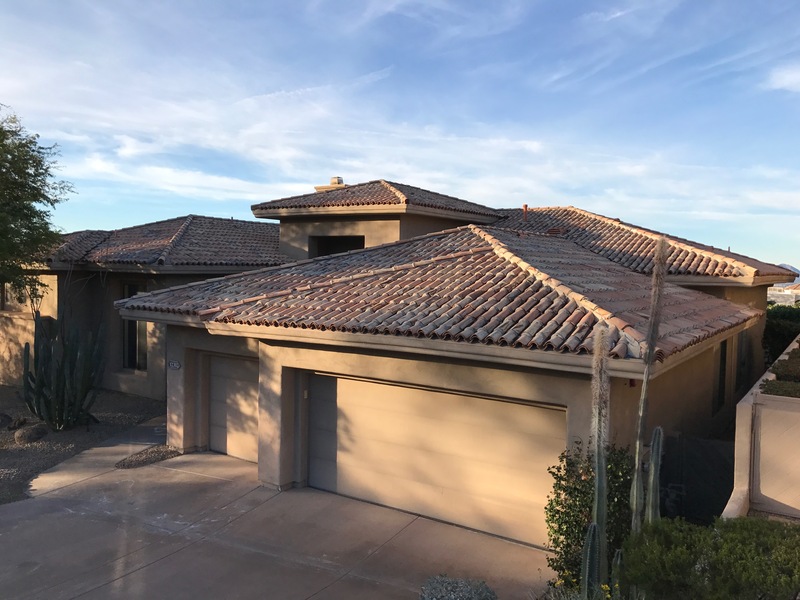 Clay and concrete tile roofs are heavier than most residential roofing systems, and in some cases, may require extra bracing to prevent cave in. This could lead to extra expense and a much longer timeframe to complete the project. If your roof will need bracing before concrete and clay tile installation. Every Metal roofing job needs the right Metal roofing underlayment. Metal roofing underlayment can extend the life of your roof as well as make installation much safer and easier. We have many choices to choose from and we only carry safe and reliable underlayment options. Remember to stop by our showroom where you can actually walk on each of our Metal roofing underlayment options to see which is the best for your job. If you’ve got a roof replacement on your mind, you’ll more than likely experience leaks at some point. Old and worn out, roof replacement is most economical if there are leaks. The key is to first understand your problem and the severity of it, then you need to understand your current roof substrate, hone in on exactly what your roofing needs are, and then do thorough research of the alternatives and decide which you would prefer.